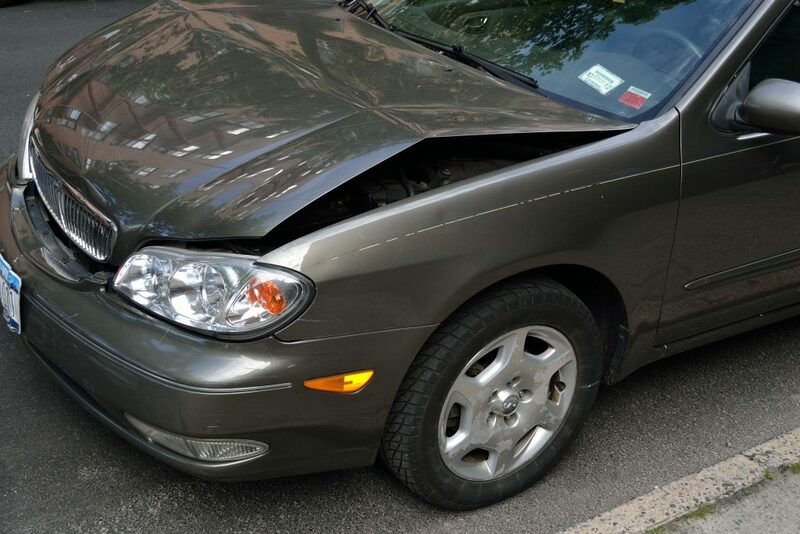 No Matter How Minor The Rear-End Collision, You Should Always Have Your Car Inspected! Motor vehicle accidents of any kind are never fun, and when involved in a rear-end collision, you almost never see them coming. There are many factors that can lead to a rear-end collision, but one thing remains certain, you’re vehicle will almost always be left with some form of damage – even if you can’t see it. It goes without saying that when an accident occurs at a higher rate of speed there will be substantially more damage. But, what is important to note is that even when a slow-moving accident occurs, leaving what may appear to be no damage, there are things you need to look for. Remember, you should always have a reputable auto body repair facility inspect your vehicle to ensure it is safe for you to drive. Accounting for around 25% of all motor vehicle accidents, rear-end collisions are among the most frequent. And although reports state that approximately 1 out of every 4 of motor vehicle accidents are rear-end collisions, the numbers may be even higher. It is estimated that a rear-end collision is reported approximately every 20 seconds and that approximately every 10 seconds a rear-end collisions goes unreported. If you are involved in a motor vehicle accident, the first thing you will most likely worry about is yourself and any other passengers involved. The second thing that comes to mind will most likely be what damage your vehicle has sustained. How bad is the damage? Can the vehicle be repaired, and if so, how long will it take and how much will it cost? Well, auto body repairs can vary greatly depending on the part of the vehicle damaged, the extent of the damage, and even what type of vehicle you have. If your vehicle has been involved in a rear-end collision there are certain things you should look for before getting back on the road again. Here are the top things Southern Auto Body recommends you take into consideration following a rear-end collision. One of the most common issues drivers will face after a rear-end collision are alignment issues. If you notice any changes to the way your car handles following a rear-end collisions, your alignment is most likely off. Some common symptoms of alignment issues are steering wobble, vibrations, and the vehicle pulling to one side. Poor alignment will cause tires, brakes, suspension and other parts to be placed under additional stress, which will cause them to wear down more quickly. Alignment issues will not only cause your vehicle parts to wear down prematurely but can pose serious safety hazards. If your vehicle is suffering from alignment issues you should have it inspected immediately. A clear sign that a rear-end collision has caused damage to your vehicle is issues with your trunk. Your trunk should open and close smoothly, if it does not, your vehicle has suffered damage and should be inspected by a professional. While your trunk opening and closing smoothly may not seem directly impact your driving, it can have a serious impact on resale, can pose serious safety concerns, and may be a sign of other issues. Imagine you are driving down the highway and your trunk lid swings open, blocking rear visibility, or even worse, sending the contents of your trunk flying through the air. Not an ideal situation. As mentioned above, trunk issues may also point to other hidden damage, which may be more serious than initially anticipated. Even when there appears to be no visible damage to your vehicle, critical components could be affected. Beneath the plastic bumpers, covers, and shields lie many delicate components, essential to the safe operation of your vehicle. Rear-end collisions often damage components beneath the surface. Many modern vehicles rely on plastic covers for aesthetic purposes, however, these plastic covers provide little to no real protection for your frame and other essential vehicle components. Behind your bumper cover, there are a multitude pieces that you cannot see that could be damaged and that should be checked. Don’t rely on the visual appearance of your bumpers to determine whether or not your car is damaged beneath the surface. Unfortunately, rear-end collisions have a high probability of causing transmission issues. Many vehicles, particularly rear-wheel-drive and all-wheel-drive vehicles have transmission components located toward the rear of the vehicle making them prone to rear-collision damage. If you experience issues like transmission slipping, difficulty shifting, or leaking transmission fluid following a rear-end collision, you should immediately take your vehicle to a professional mechanic for an inspection. If you continue to drive your vehicle in this condition, with the transmission showing signs of damage, you run the risk of causing further, more serious damage. At the first sign of transmission trouble, bring your vehicle in for a diagnosis before you cause further damage to your transmission or other parts of your vehicle. This could save you a bundle in the long run. “It’s no big deal, it was just a minor fender bender!” Are you sure? Even during what can seem like a slow-motion rear-end collision your, vehicle may be damaged. Behind what might look like a minor scuff or dent could lurk serious internal injuries. Although modern vehicles are being designed to better and better protect their occupants, they are still prone to damage during a collision. While that small dent may not appear to be a ‘big deal’, it could affect anything from tire wear to airbag deployment. The bottom line is, anytime you are involved in a motor vehicle accident, no matter how minor it might appear, it warrants an inspection by a qualified mechanic. We understand this can be a hassle, but it truly can be a life or death decision. Keep in mind that Southern Auto Body is a one-stop-shop for all your motor vehicle needs, so while you are getting that bumper touched up, we can also inspect your vehicle for any hidden damages, saving you time and money. If you have been involved in a motor vehicle accident, contact Southern Auto Body today to book your appointment and make sure your car not only looks good but is safe too!